Amelia Draper is a Meteorologist with StormTeam 4. Her forecasts can be seen on the weekend editions of News4 at 6 and News4 at 11, on NBCWashington.com and on 103.5 WTOP Radio. She joined News4 in March 2013. Draper’s first job was with C-NET in State College, PA. While forecasting weather there, she became very familiar with weather phenomena such as lake effect snow which helped her land her next job as weekend meteorologist for WJET/WFXP in Erie, PA. Erie recorded its second snowiest winter on record during Draper’s first year there. 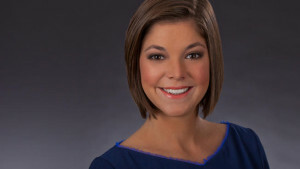 From there, she joined the morning shift at WIVB-WNLO in Buffalo. Draper lives in Washington, DC but looks forward to reacquainting herself with Frederick and vacationing in Rehoboth Beach.